Groups and events | Bubba Gump Shrimp Co.
Bubba Gump Shrimp Co. is located in the heart of London, just seconds from Piccadilly Circus tube station. The restaurant features décor reminiscent of the hit film ‘Forrest Gump’ and a stunning second floor location, sure to provide a memorable backdrop for your next event. 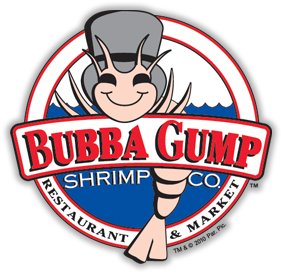 See the bright lights of Piccadilly Circus as you banquet in the ‘Beaufort Room’, get cozy in our famous ‘Shrimp Shack Booths’, or enjoy our home-style cookin’ in the ‘Gump House’, our private room decorated just the way Forrest’s Mama would have done it! Whether you’re planning an intimate dinner for 15 people or a lavish, private party for 600, our dedicated team will bring your vision to life! Travel trade menus and set menus with all-inclusive pricing are available for groups.